Temple Grandin, a professor of animal science, best-selling author and autism activist, will speak during Wright State’s Presidential Lecture Series on Sept. 9 in the Wright State Nutter Center. Temple Grandin, professor of animal science, best-selling author and autism activist, will kick off Wright State University’s 2015-16 Presidential Lecture Series with a talk on Wednesday, Sept. 9. Grandin, who teaches at Colorado State University, will speak at 7 p.m. in the Wright State Nutter Center. Her lecture is free and open to the public. Tickets are not required. Grandin’s lecture will be preceded by a public reception at 5:30 p.m.
Each speaker in this year’s Presidential Lecture Series will help Wright State, a leader in accessibility in higher education, celebrate and educate the community about the 25th anniversary of the Americans with Disabilities Act of 1990. The lecture series lineup also includes former U.S. Sen. Tom Harkin on Nov. 3, adaptive athlete Amy Purdy on Feb. 12, 2016, and comedian Maysoon Zayid on March 22, 2016. Grandin’s books about her life as an autistic person have increased the world’s understanding of autism. She believes her disability and strategies and coping mechanisms that she had to develop for herself make her unique and helped her succeed. In her popular 2010 TED Talk, Grandin describes how her mind works, explaining that she is particularly attentive to detail and that she thinks in pictures rather than words, which gives her unique insight in her work with animals. Grandin also contended that people on the autism spectrum offer invaluable skills and perspectives. She is the author of “The Way I See It: A Personal Look at Autism and Asperger’s,” “Thinking in Pictures, Emergence: Labeled Autistic,” “Animals Make Us Human” and “Animals in Translation.” She has also written more than 400 articles in both scientific journals and livestock periodicals on animal handling, welfare and facility design. Grandin teaches courses on livestock behavior and facility design at Colorado State and consults with the livestock industry on facility design, livestock handling and animal welfare. She has designed livestock handling facilities in the United States, Canada, Europe, Mexico, Australia and New Zealand. She obtained her B.A. at Franklin Pierce College, M.S. in animal science at Arizona State University and Ph.D. in animal science from the University of Illinois. In 2010, Grandin was named to Time’s list of the 100 most influential people in the world. 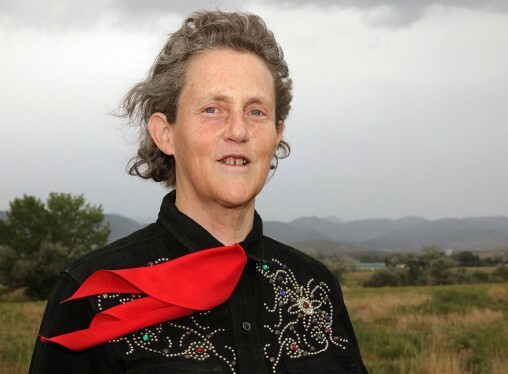 She was also the subject of an award-winning 2010 biographical film, “Temple Grandin,” on HBO.